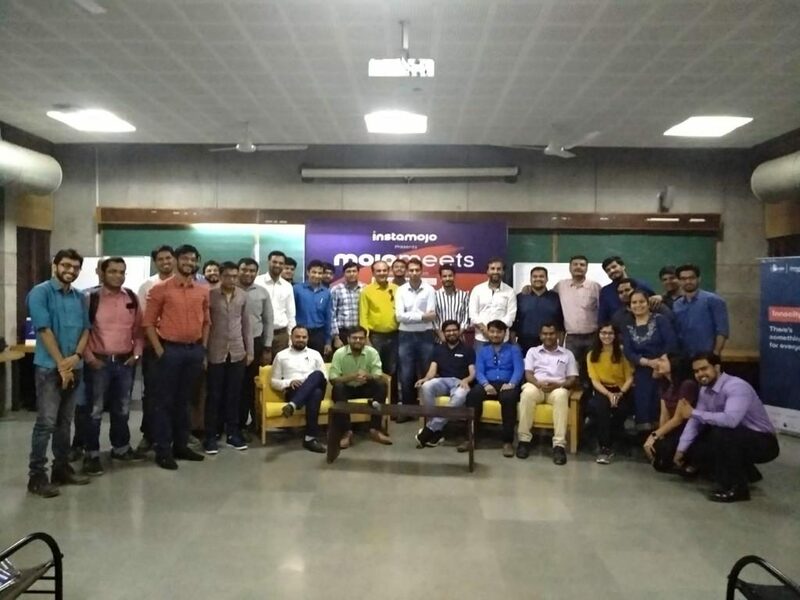 We organised our second round of mojoMeets in Ahmedabad this month, to an audience brainstorming and sharing ideas on this month’s theme: Taking your local business global. 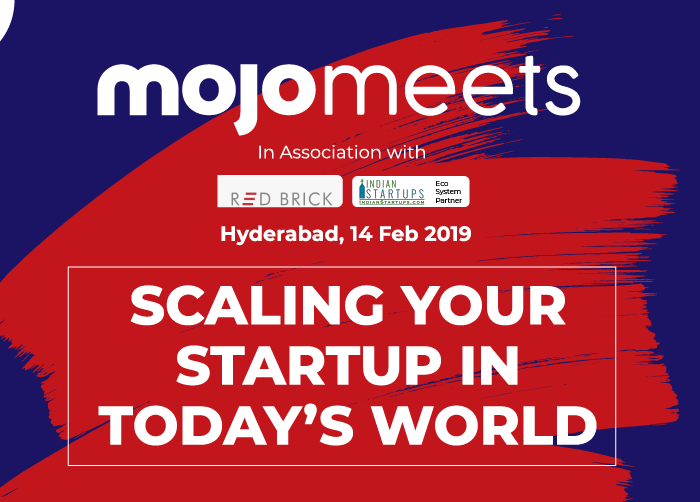 mojoMeets is our initiative to give entrepreneurs an opportunity to network, collaborate, share ideas and discuss various topics that focus on scaling startup businesses. 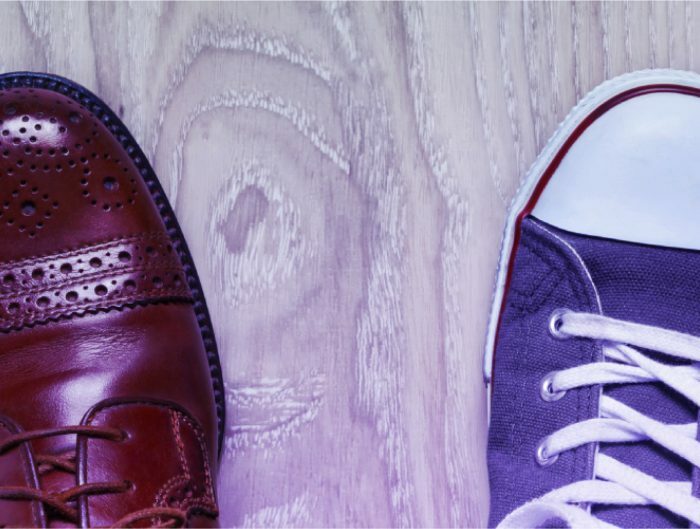 This month’s mojoMeets focused on the topic of taking business outside your area of comfort, about making the right investment with your teams and making sure your company is compliant with corporate law. Jaydip Parikh, Founder, Tej SolPro Digital Pvt. Ltd. If you have business locally, you will soon need to take it online to extend your audience base. 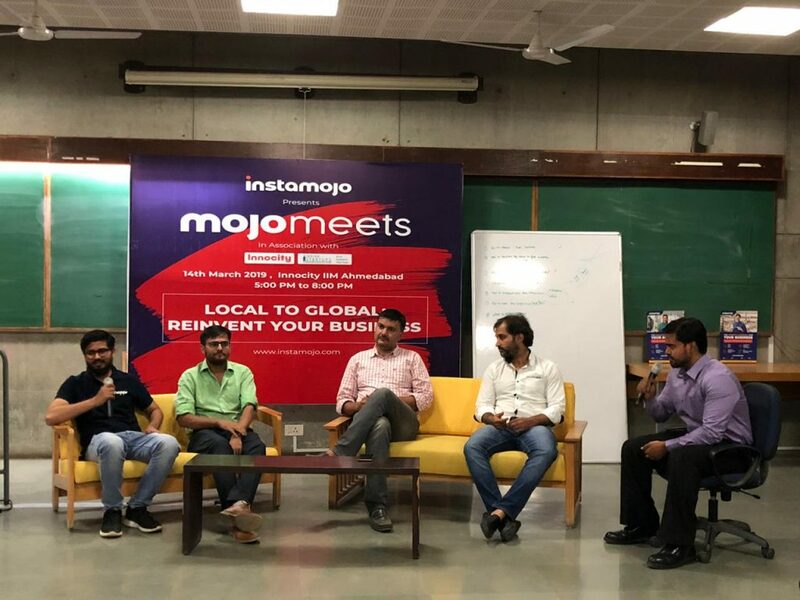 At the mojoMeets, Vinay Shivashankar, head of Marketing at Instamojo spoke on the importance of taking brands globally. He emphasised on the importance of investing time in the right workforce for your product to scale. The importance of building your brand globally comes from having a firm footing locally and that starts with trusting your team. When it comes to investing in teams, build the right support function. This is because when you are building your product, you need to focus on constructive feedback coming your way through your initial customers. A good support team takes care of any feedback. Vinay took the example of Instamojo to further explain this. 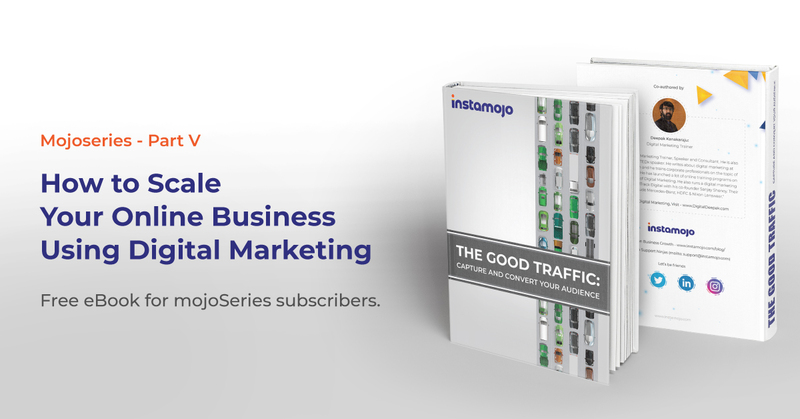 He says that while Instamojo started off with facilitating online payments, the product grew to meet challenges and support businesses in all aspects of growth, relying on feedback to do so. Amit Panchal, Co-founder, Allevents.in broadened the topic from a personal perspective. He took the learnings from his own business to explain how he focused on his brands’ regional presence first and then began thinking of a global outlook. A trip around the globe and speaking to international audiences who used Allevents.in proved to Amit that it is important to have a wide reach also. This was the one thing audiences loved about his company. Customers remembered his efficient support team, who catered to their queries 24*7. 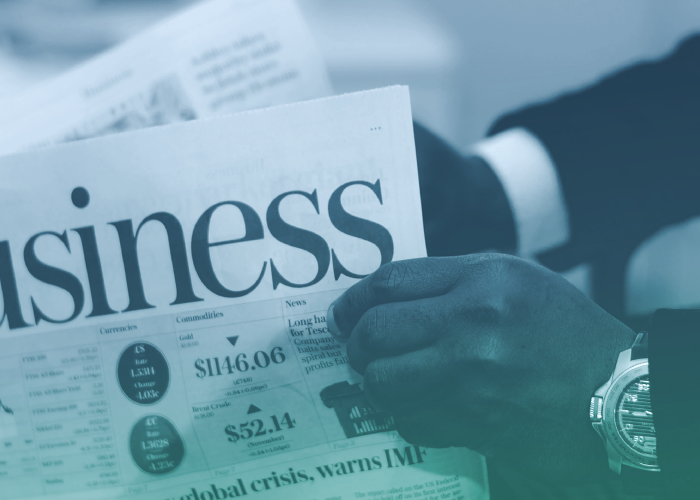 Is your business compliant with corporate law? Shrijay Sheth took the floor to talk about Corporate law and the importance of keeping updated with the legal compliances and challenges startups face before going global. He spoke about the differences between private and public companies in terms of being legal entities. One thing you can do as a startup that big businesses cannot is you can fail fast. You can realise you are failing and revert quickly. This is why the Titanic could not stop sinking. The large ship could not steer away from the danger. 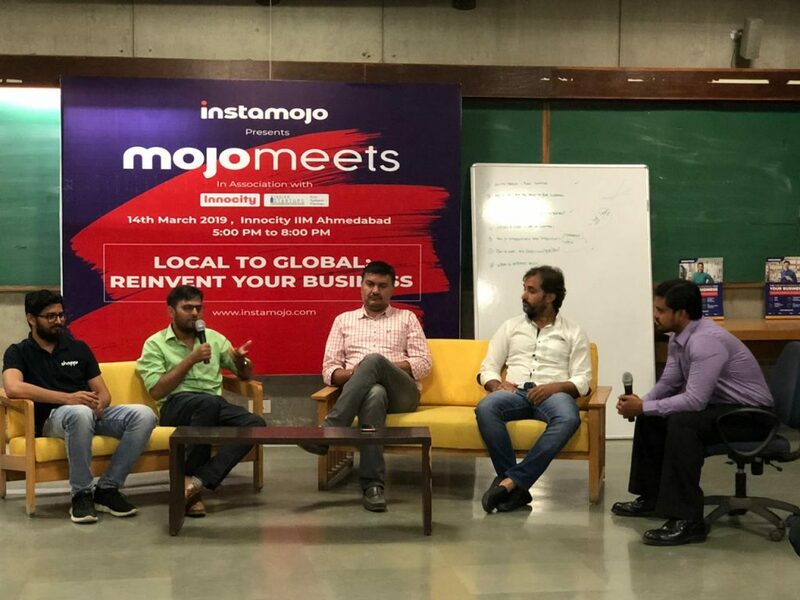 Post the speakers session, a panel discussion took place, moderated by Instamojo’s Senior Product Manager, Abhineet Sinha. The panel discussed on topics ranging from marketing for businesses through offline and online methods, investing in the initial team of people who will work for your brand, not for the company and the importance of a personal brand building. 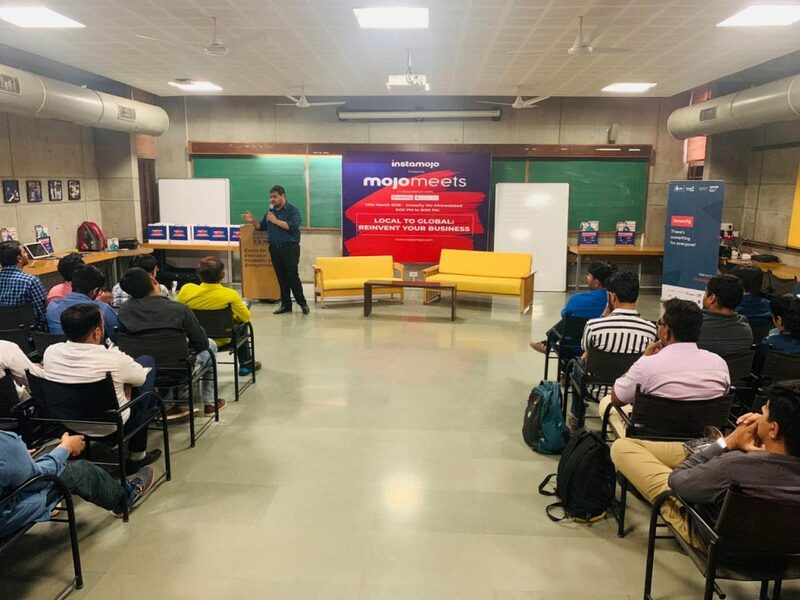 Abhineet closed the panel discussion with a final question “ What channels should a new startup use while scaling for customers in terms of marketing and sales?” Abhishek responded to this question by emphasising on building references in the initial days of your marketing. Jaydip’s company invested in organic modes of marketing with video content and content marketing. The companies implemented growth hacks into their marketing in the second stage of their marketing plans. Jaydip asks young entrepreneurs to head to Quora answers and post stories and reply to questions related to their products. Nikunj had an interesting take on the topic. He insisted on working on your personal profile. 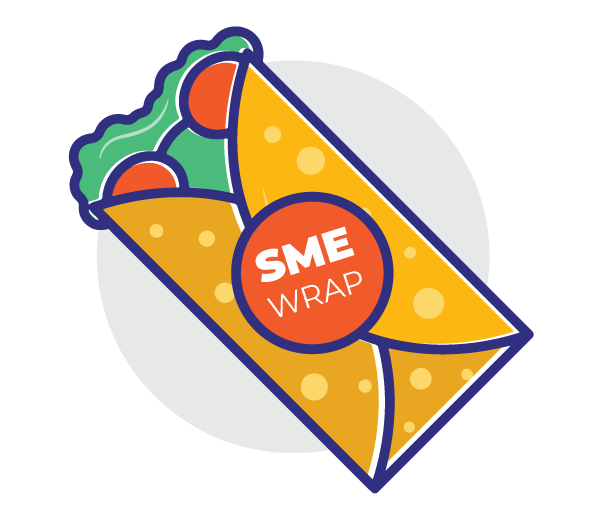 When asked about scaling products in the market and how to determine the extent to which it must be done for a new business, the panellists came to a common point. They addressed the importance of carrying out research beforehand on user personas, customer base and customer buying patterns. Carry out research, reports on consumer operations. Find out how are they shopping, and what are they shopping. You need to know what products people are using in 2019 to know where your product will be in the next 5 years. Abhineet posed a question on how is it possible to scout and redeem good talent in Ahmedabad. Abhishek responded to this question by saying that it boils down to trusting your employees and treating them like adults. Jaydip proceeded to say that giving your initial employees freedom to own up to the brand. Mitesh started his company with an 8 member team from his home and over the years, they became family. It is important to let employees know that their time spent in the company is valuable, Mitesh Says. Nikunj asked small business owners to focus on their business instead of trying to please all their customers. 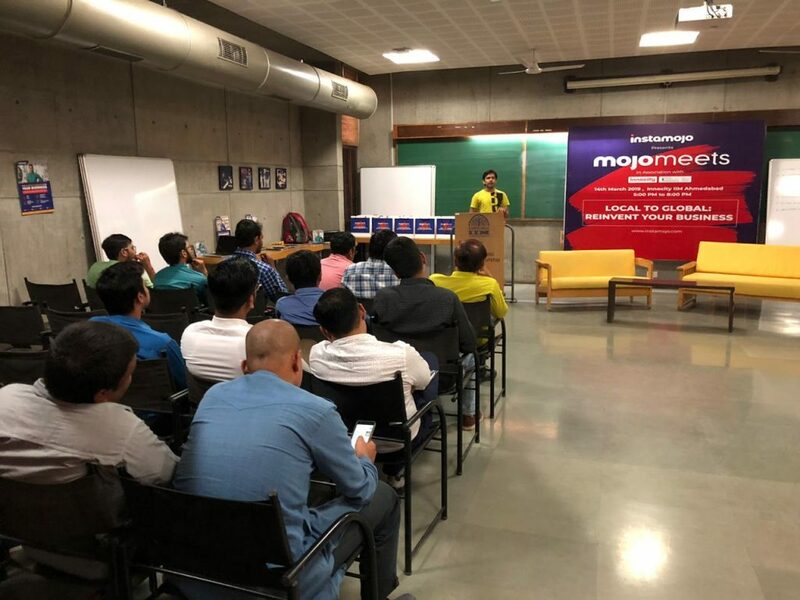 Post the discussion, there was a Q&A, where the audience asked questions about Instamojo payments, client acquisition and growth marketing. Are you an entrepreneur bitten by the business bug? mojoMeets is for you! If you missed out on this meetup, don’t worry. Watch our social media space for updates on the next one. 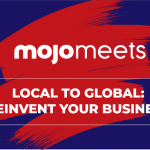 Every mojoMeets is an opportunity to learn something new and share something old from your world of business.